KONTAK DIE EIENAAR - MAAK NAVRAAG NOU OOR ID: 28790 - KLIK HIER ! 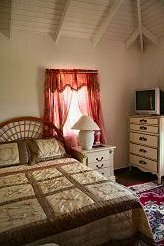 Located overlooking Jolly Harbour, with beautiful views of the surrounding mountains, Antigua Budget Rooms are perfect for travellers looking for affordable, clean accommodation within easy reach of the beautiful beaches of the West Coast, while only being 15 minutes drive into central St. John's. Bathroom with shower, and w.c. 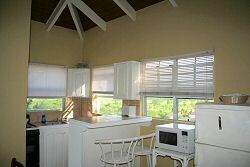 The location is perfect for people who need a budget accommodation in Antigua, whether visiting friends or family. Jolly Harbour has a large marina, a mall with banks, supermarkets, a pharmacy, a beauty salon, spa, bars and restaurants & a board walk. It has sports facilities including a great swimming pool, gym, tennis and squash courts and an 18 hole golf course. 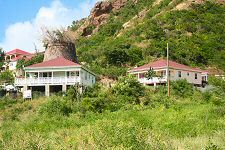 For anyone wishing to spend some serious beach time, Hermitage Bay and Jolly Beach (as well as Jolly Harbour Commercial Centre) are within easy walking distance & all the beaches of the south west coast are accessible within a 5 to 10 minute drive. 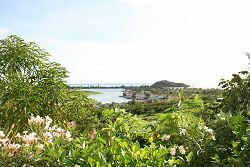 Alternatively Tyrone operates Antigua Paradise Tours, and can arrange for some excellent tours around the island. 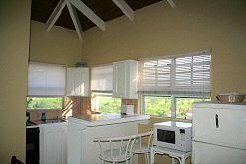 The apartments and cottages contain full kitchens with cooker, microwave, kettle, fridge freezer, while the rooms also have kettle, fridge and microwave.